Although the three conspicuous cultures of Berlin in the twentieth century—Weimar, Nazi, and Cold War—are well documented, little is known about the years between the fall of the Third Reich and the beginning of the Cold War. In a Cold Crater is the history of this volatile postwar moment, when the capital of the world's recently defeated public enemy assumed great emotional and symbolic meaning. This is a story not of major intellectual and cultural achievements (for there were none in those years), but of enormous hopes and plans that failed. It is the story of members of the once famous volcano-dancing Berlin intelligentsia, torn apart by Nazism and exile, now re-encountering one another. Those who had stayed in Berlin in 1933 crawled out of the rubble, while many of the exiles returned with the Allied armies as members of the various cultural and re-educational units. All of them were eager to rebuild a neo-Weimar republic of letters, arts, and thought. Some were highly qualified and serious. Many were classic opportunists. A few came close to being clowns. After three years of "carnival," recreated by Schivelbusch in all its sound and fury, they were driven from the stage by the Cold War. 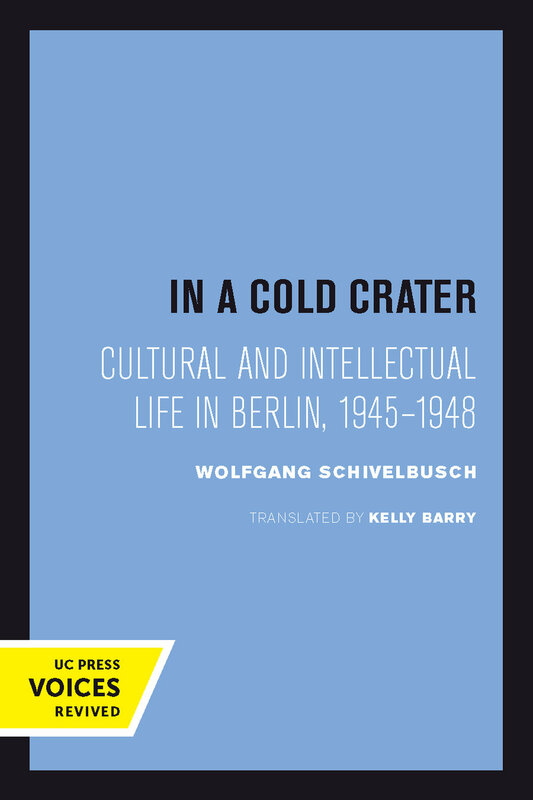 As Berlin once again becomes the German capital, Schivelbusch's masterful cultural history is certain to captivate historians and general readers alike. Wolfgang Schivelbusch is an independent scholar who divides his time between New York and Berlin. His books include The Railway Journey (California paperback, 1986), Disenchanted Night (California, 1988), and Tastes of Paradise (1992). Kelly Barry is a scholar and translator living in Baltimore.